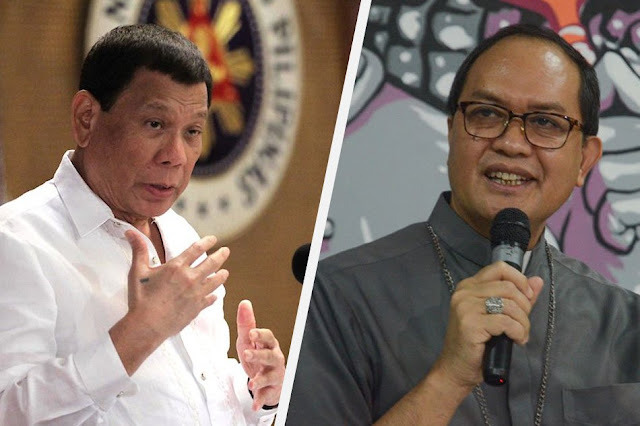 Home / News / Bishop David strikes back at Duterte: "People who are sick sometimes do not know what they are talking about"
Bishop David strikes back at Duterte: "People who are sick sometimes do not know what they are talking about"
During the visit of President Rodrigo Duterte in Tanza Cavite, he identified a certain Bishop named “David”, who allegedly stealing donations to the Church and providing it to his family. Duterte claimed he has videos to prove that the Bishop has been taking donations for his family. “Ikaw, David, tumahimik ka ha. Sige ka lang hingi ng contribution diyan sa mga… Saan ang pera ng mga tao? Ang g*** sige lang hingi, may second collection pa [You David, better shut up. You ask for contributions…Where do the people’s money go? The fool even asks for a second collection],” Duterte said during inauguration of Cavite Gateway Terminal in Tanza, Cavite. “Alam mo totoo lang, sabihin ko sa inyo, iyong mga offerings, iyong mga pinya, mga avocado, saging, saan napupunta ‘yan? Gusto ninyong malaman? Gusto ninyo ng video? Ibigay ko sa inyo. Doon sa pamilya niya [The truth is, I tell you, the offerings, pineapples, avocados, bananas, where do they go? You want to know? You want to see video? I’ll show you. They go to his family],” he added. The President said such practice of stealing church donations should be stopped. He said the erring Catholic priests should just get married instead, and suffer like him. Duterte insisted that the church was “rotten,” citing the “sins” of some priests. He claimed that some members of the clergy were corrupt, while others have sired children. “I’m ready to debate with you in public. You know guys, do not overdo things because not all is right within the Catholic Church. You read the — it’s a bestseller — “Popes” with a plural. 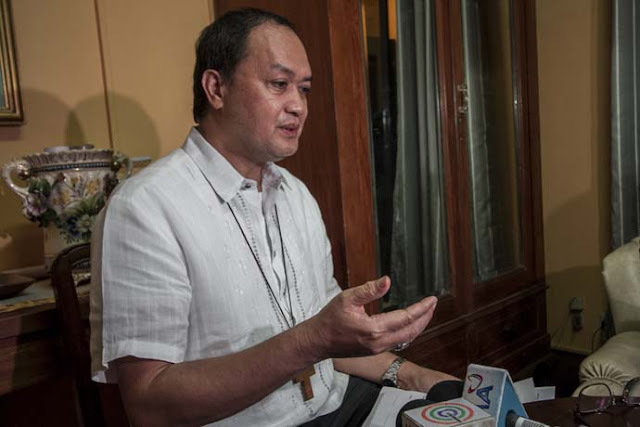 Makita mo doon [You’ll see] how rotten the Vatican is,” he said. “Iyong si Pope na nag-retire lang. Well, I’ll tell you now kung bakit siya nag-retire nang maaga. Should I talk about it in public? And the sins of the Bishops here,” he added. The President maintained that he still believes in God but said his god was different from the god of his critics. “It is not true that I do not believe in God. Huwag kayong maniwala. That is heresy,” he said, adding he was educated in a Catholic school. “Sinabi ko sa mga ugok na obispo na ‘yan, your God does not have common sense. My God has a lot of it. Kasi magkaiba ang perception natin sa Diyos ninyo pati ‘yung Diyos ko,” he said. 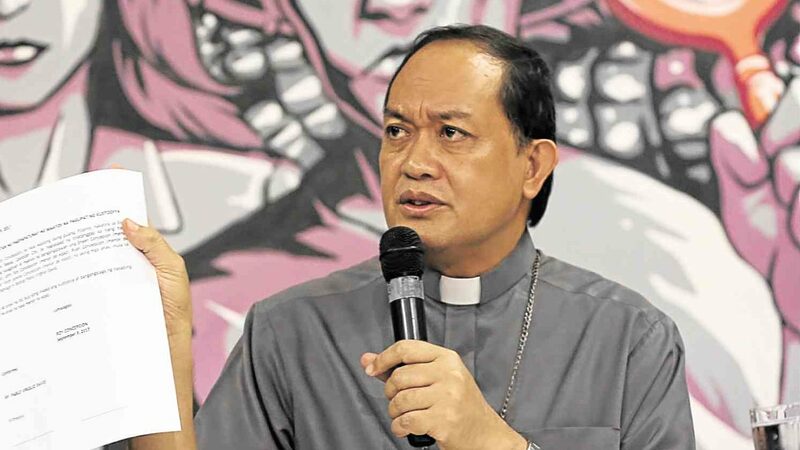 Meanwhile, Caloocan Bishop Pablo Virgilio David, saying that he was the only “Bishop David” in the CBCP, said Duterte may have confused him for someone else. “I think [President Rodrigo Duterte] has confused me for someone else, ” David said. “I am the only Bishop ‘David’ in the Catholic Bishops’ Conference of the Philippines (CBCP). I think he has confused me for someone else,” the Bishop wrote on his Facebook page. "My parents never taught me to steal,” he added. The CBCP vice president then apparently took a swipe at Duterte anew. “You see, people who are sick sometimes do not know what they are talking about, so we should just bear with them,” he said.